Though we've spent countless hours watching The Food Network, we can't say we've made many of the recipes ourselves. Which is why following the chefs' personal blogs and Facebook pages can help make their recipes that much more accessible. 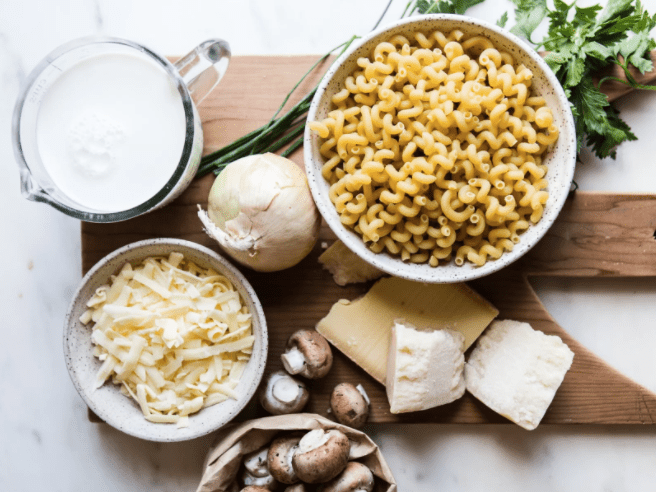 Case in point: Food Network chef Rachael Ray of 30 Minute Meals and Week in a Day just shared a video of her favorite five-ingredient mac and cheese recipe with her Facebook followers, and it quickly garnered thousands of likes, views, and shares. While one controversial ingredient—grainy mustard—caused a bit of a debate in the comments section, it still seems to be one of Rachael's most cherished recipes by all accounts. Try it for yourself below. Bring cream and mustard to low boil with the garlic clove. Simmer 5 minutes to thicken. Remove garlic and melt in cheese. Combine pasta with base sauce and mix-ins of choice. Bake at 375°F in a casserole dish to brown and bubbly.